Do you about these gems our visitors can't live without? Coton house training questions are the most frequently asked on this site. The tips and recommendations below have been used successfully by our site visitors and can help you too. Is it easy to house train a Coton de Tulear? In my experience, yes it is; house training for Luc was quick and easy. Unfortunately, not everyone has this experience. Potty training can be a challenge for some dogs, and the Coton is no exception. What I've learned from our Coton parents is that communication is critical for a well trained dog. You have to learn how your dog communicates to you when he has to go potty. Some, like my dog Luc, are easy to read; he goes as soon as he wakes up and immediately after each meal. If I'm not home, he must have a clean unscented pee pad. Other Cotons will whine, stand in front of the door, turn around in circles, some even learn to ring a bell. Watch for clues; your dog will talk to you. Some dogs need privacy, and some dogs need to be around other dogs to learn what they're supposed to do. Luc came to me trained to use pee pads and it took a while for him to understand that he was supposed to go outside. The light finally came on for him when we visited friends and he saw other dogs do their business outside. Problem: New puppies have to go potty frequently, sometimes every half hour. It’s your job to teach your dog what’s expected so they don’t use your home as a toilet. This takes persistent, consistent time and attention. The effort you put into house breaking in the beginning will pay off for the life of your dog. Successful housebreaking starts with proper training. You don't believe your toddlers will "figure it out on their own" so don't expect your new puppy to understand where you want him to eliminate without some guidance. Select a training method, stick with it no matter what, and you will have a dog that’s potty trained. Which method you use is a personal preference, but here are some of our visitor favorite Coton house training methods. No. 1 - Constant Supervision. As you can see from the poll below, most people find Coton house training success with constant supervision. Puppies have to go potty often and need to be closely monitored. They should be taken out when they wake up, after play, after every meal, and every hour in the beginning. If you get lazy with this, it will take longer. The key is that your dog has to understand what you’re asking him to do. Reward him when he gets it right and your success will come quicker. One of the best ways to make constant supervision easier is to keep him confined in a small area of your home. If you give your dog free reign, it’s impossible to keep tabs on him. You can keep him in a crate or small room in your house like a bathroom or laundry room. 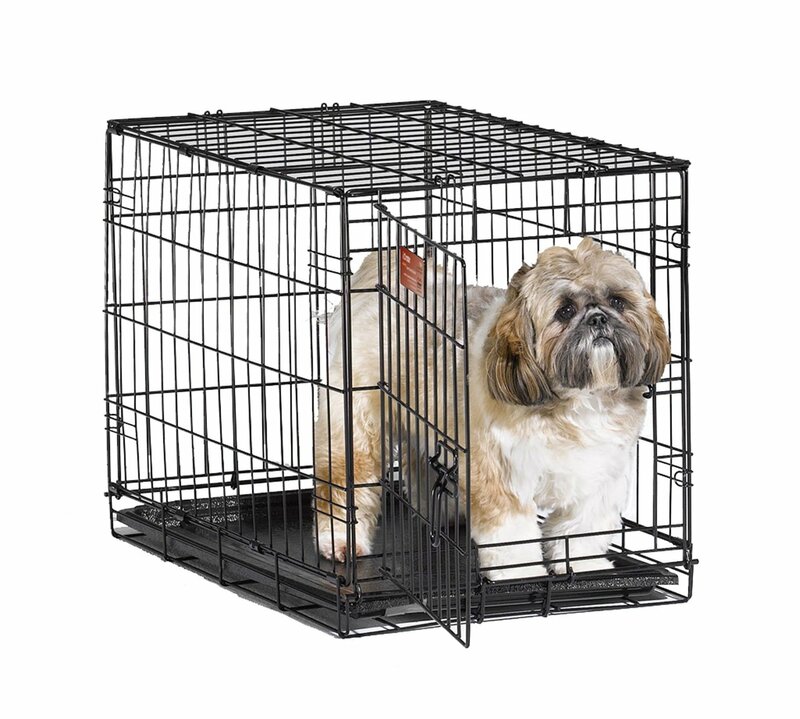 Cotons are companion dogs and don’t like to be separated from you, so using a mobile crate is a good option – You can even move the crate to your bedroom at night so he feels safe. iCrate Pet Crate - This is a mobile crate so your Coton won't feel isolated. It comes in different sizes with one or two doors, and has a divider that can be adjusted as your puppy grows. It's safe, sturdy, and easy to clean too. Indoor/Outdoor Plastic Pen - This is another good option for keeping your dog confined to a smaller area, but this has more room than a standard crate and can be used inside and outside your home. There's room for sleep, play, and potty. No. 3 - Clicker Training is another popular method for Coton house training. It's based on rewards; every time your dog performs a desired behavior, you click and he gets a reward. This gives him immediate feedback so he'll understand what you want him to do. It works better with dogs who are motivated by treats, toys, or even praise. It does require consistency on your part. No. 4 - Ring a bell. Many of our visitors have taught their Cotons to ring a bell when they have to go potty outside. You can learn how to do this in conjunction with clicker training by watching this quick and easy video. Need more in depth step by step instructions for Coton house training? Learn more from our visitors' favorite online trainers: Cesar Millan (the Dog Whisperer), Victoria Stilwell, and Zak George (YouTube), and Luc's favorite - Doggy Dan. Problem: Life is messy sometimes and conditions don't always line up for your dog to eliminate outside. When the weather's bad, when you're traveling, when you get unexpectedly detained at work, if you have medical issues and can't walk your dog - whatever the issue, there are times when using an indoor potty method is the best option. Many people like the convenience of being able to switch between indoor and outdoor house training. Unscented Pee Pads are easy and convenient. If you’re going to use pee pads as a long term training method, it can be costly over time. You can find reusable pee pads which are more cost effective and better for the environment. I keep a couple on hand for Luc for our stormy days here in Florida (he HATES getting his feet wet). Ugodog. Some prefer this indoor potty training system because it’s environmental friendlier than pee pads, easy to clean, and your dog won’t step in pee and track it throughout your house. 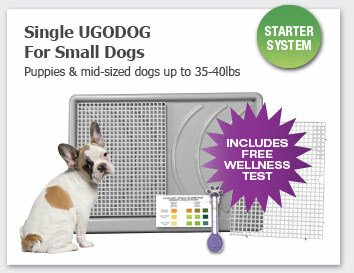 You can learn more about this and buy it directly from ugodog.com. If one-clicking is your thing, you can also find it at Amazon. Problem: Dogs have accidents in the house; it's unavoidable. 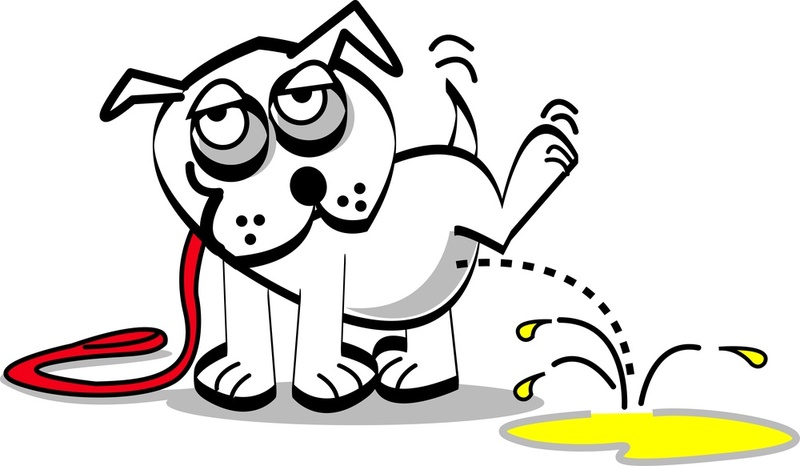 If you don't clean and neutralize the area, your dog will continue to pee in that spot. It's important to find a solution that not only cleans, but eliminates the odor 100%. All dogs will pee in the house at one time or another, but it's a certainty with new puppies. Our visitors have told us their favorite cleaning products to prevent their dogs from returning to the same spot over and over to eliminate. 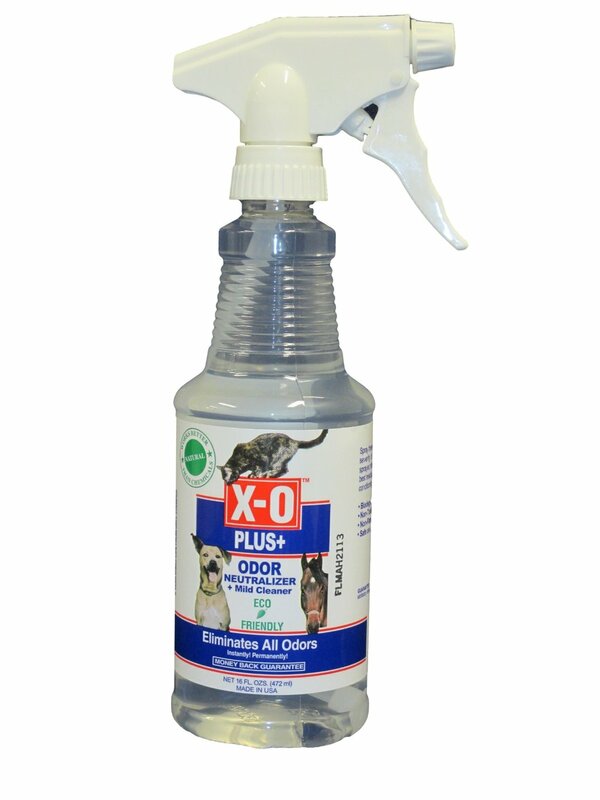 X-O Plus Odor Neutralizer and Cleaner. If you're looking for a product that eliminates odors instead of just covering them up, this is the number one product our visitors recommend. It's non-toxic with natural ingredients. You can find this easily at QVC or at Amazon. Best Enzyme Cleaner and Pet Odor Eliminator was another popular recommendation and there are tons of positive reviews at Amazon. Woolite had 2 product recommendations - Oxy Woolite Power Shot Foam Cleaner and Woolite Pet Stain & Odor Remover. Read what our visitors have to say about potty training here. What's your favorite solution for Coton house training? Tell us in this survey.